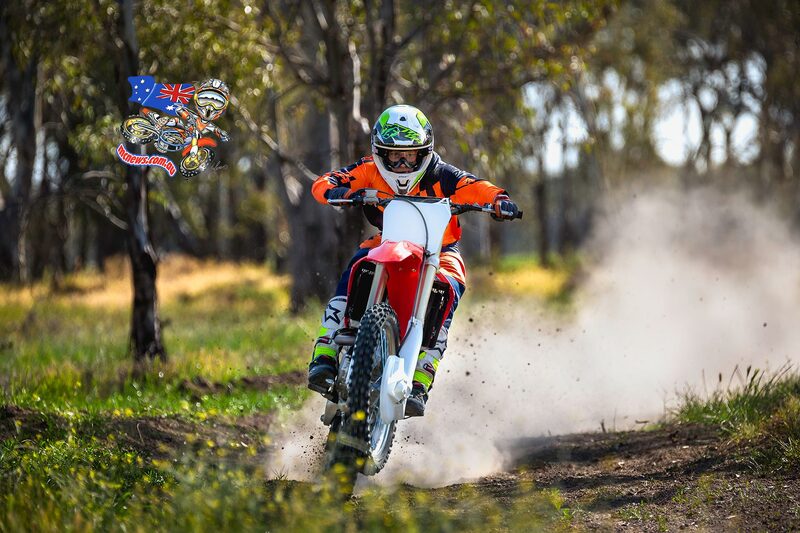 In 2015, the Honda CRF450R sold out completely worldwide and as a result the focus for 2016 is based around making small, yet detailed, modifications to the already hugely popular big bore package. 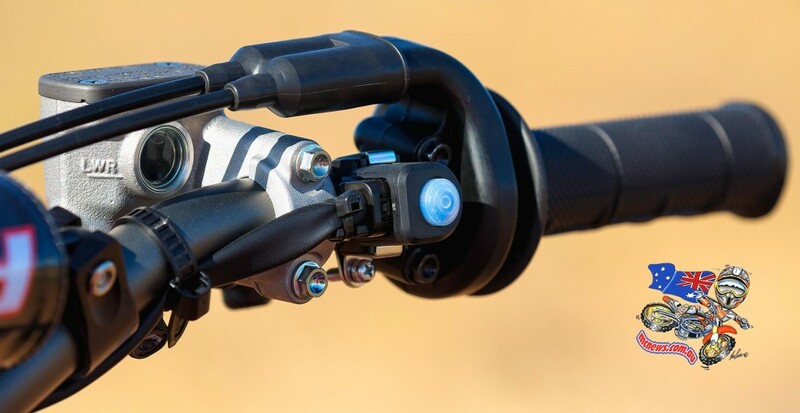 The most notable upgrades for 2016 include alterations to steering geometry along with accompanying improvements to both the front and rear suspension. For 2016, Honda have continued their use of the 9.35kg aluminium twin-beam frame, but subtle steering geometry changes, based on information gleaned from HRC’s racing program, have been implemented to enhance handling, stability and rider usability. 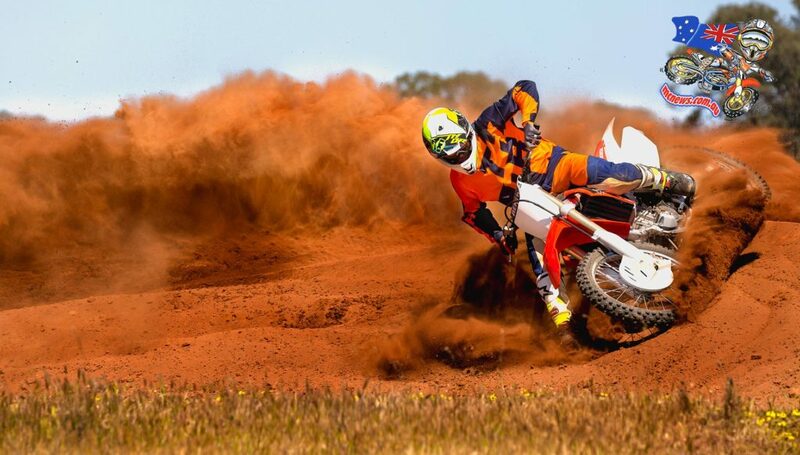 From a racer’s perspective, Honda has been well regarded as one of the best, if not the best, handling bikes in both the MX1 and MX2 fields since their respective redevelopments in 2013 and 2014. My opinion hasn’t swayed for 2016, as we put the big red through its paces on both a dried out, rough sandy circuit, and a moisture filled, smooth, clay based track and got the same effortless turning feel on both occasions. The bike sat evenly without any front to rear end rocking and didn’t provide any unexpected movements, which allowed me to adjust and feel right at home immediately. 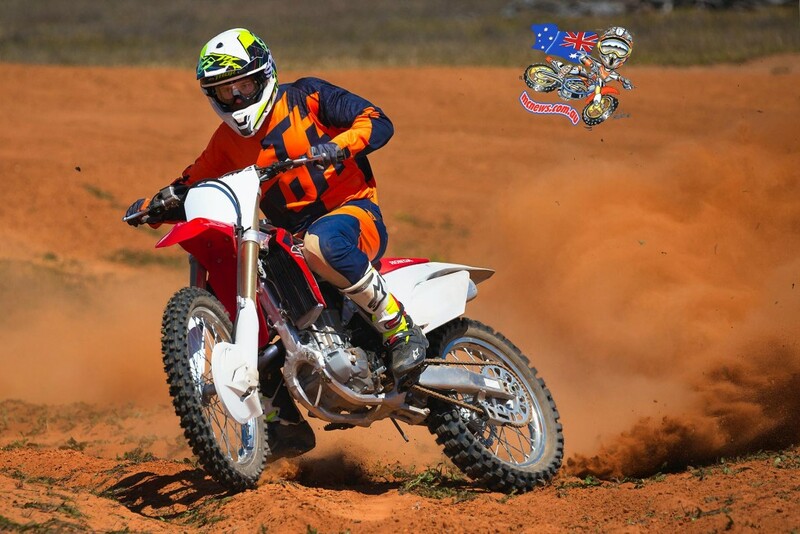 A further asset of the 2016 CRF450R is the continued use of the slim shrouds, side covers and fuel tank, which offer superior comfort and ease of maneuverability. This was quite evident when both standing up on the pegs and when seated, I did not have any issues with my knees protruding excessively. In addition to the above changes, Honda has also revised numerous accessory areas of the machine to improve the overall package for consumers in 2016. Some of the small chassis changes include a decrease in chain roller size and refinement of both the foot peg and foot peg mount complex. 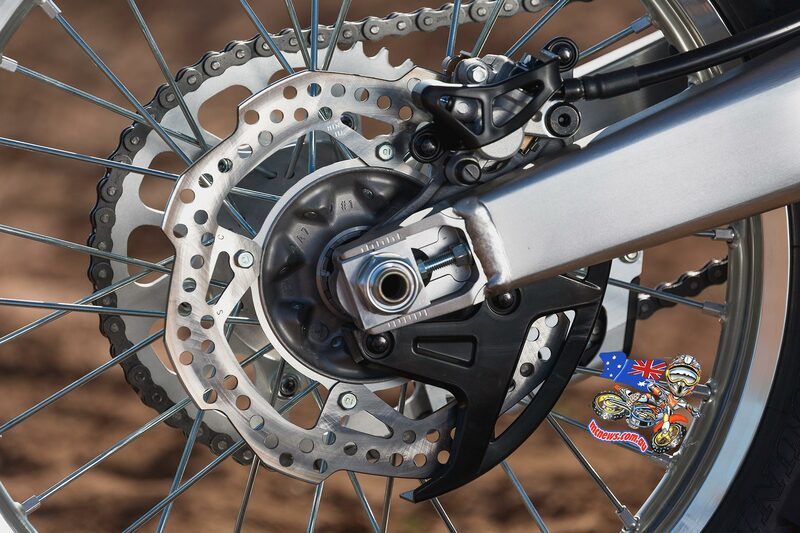 The decline in chain roller size from 38mm to 34mm is more of a supplementary update, whereas the redesigned foot peg complex minimises the likelihood of objects jamming the peg in the upright position. 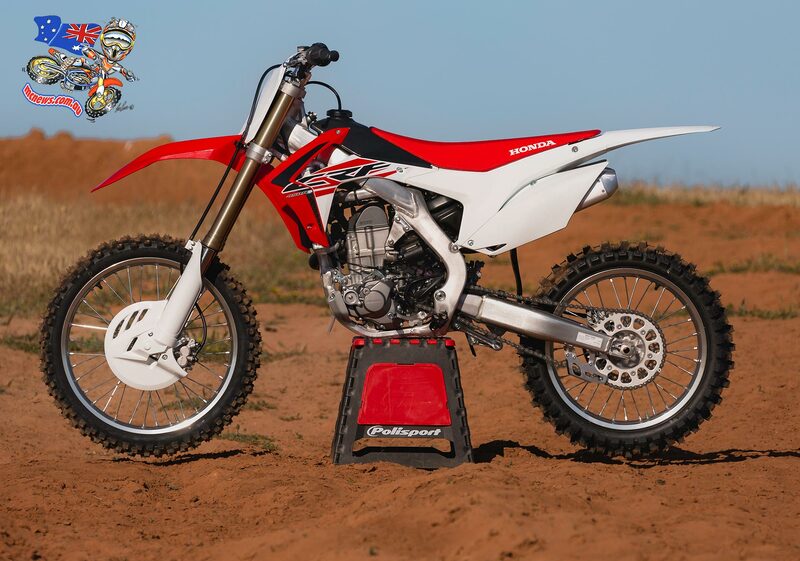 Honda have maintained their use of the 48mm KYB Pneumatic Spring Forks (PSF) (air fork) and KYB Rear Shock for model year 2016, though both have undergone significant refinements in improving adjustability and damping control. The KYB PSF utilise the same previous stroke length of 310mm, but the actual fork has been lengthened by 5mm, and the outer tube rigidity has been increased just below the top yoke by 0.5mm, from 53.5mm to 54mm diameter. In addition, both the compression and rebound damping rates are firmer to minimise the bottoming feel, and there is also now much greater fork adjustability in both compression and rebound as the click range on the fork caps has doubled from four to eight stops. Parcel this with the simple air pressure adjustments via the Schrader valve and this fork is your oyster. From my point of view, the front end of the Honda handled really well. There has been quite a lot of discussion regarding the air fork and how it performs since its inception, but overall I didn’t encounter any issues with the front end. 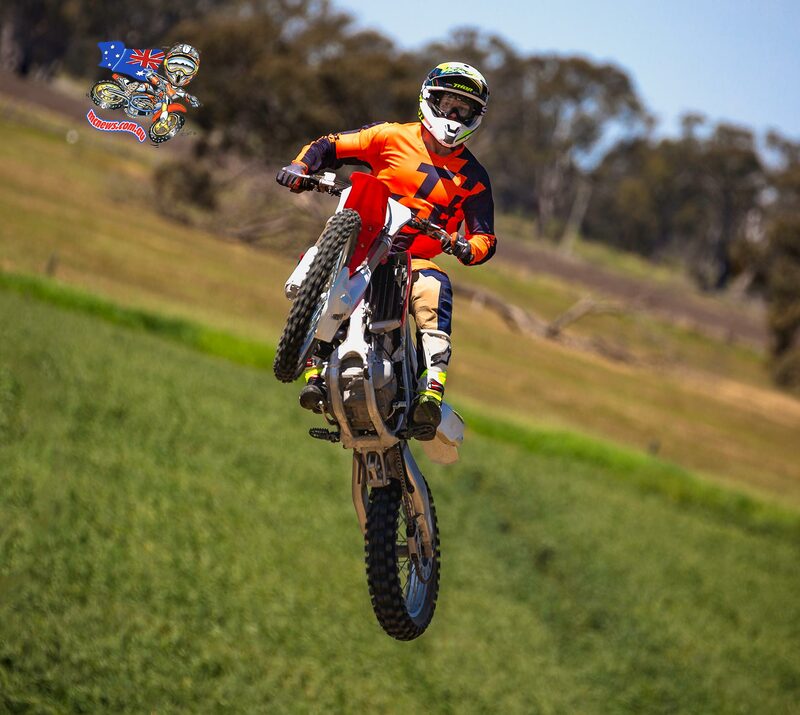 The forks and front end feel were actually very impressive, not only on the smooth clay track, but also in providing a compensatory feel on the rough, dry, sandy circuit. Turning focus to the KYB rear shock, it too has received increased adjustability and rebound damping, but at this end of the bike the changes were focused toward the middle to upper range of the stroke. These adjustments are grouped with an optimised Pro-Link ratio and like the front end of the Honda, the back end provides a really smooth ride. I tested all three engine maps on both the sand and clay circuits and the rear end tracked impressively on both occasions. When using the aggressive mapping option on the sand track the rear end did slide out of line a few times while under heavy acceleration, but this was more due to the lack of traction available on the dry sand. In terms of the suspension package as a whole, the Honda’s air fork and shock setup is solid. As mentioned previously, some racers switch the air forks for spring forks due to their discomfort with the fork feel, but I do not believe this is a requirement. The bike handles square edged braking and acceleration bumps without any side stepping or front end knifing, and when attacking long roller sections it honestly feels like you’re riding on a cloud as the rear end compensates so well for the high speed movements. 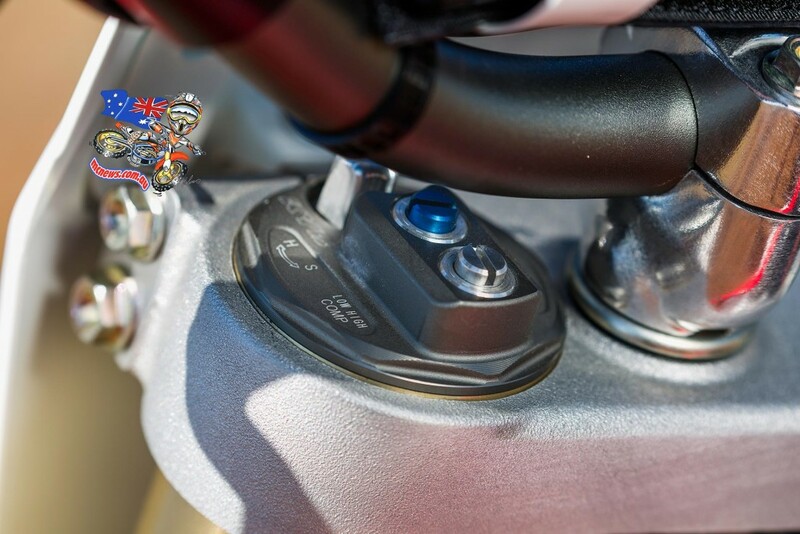 In 2015 the CRF450R featured the installation of a HRC spec cylinder head; HRC exhaust system; HRC PGM-FI Dual Fuel settings; and three way Engine Mode Selection (EMS), which as a whole improved power and torque off the bottom end, smoothed out the mid range, and increased the peak output in the top end from the previous year model. These major updates remain in place for 2016, but no further internal modifications or upgrades have been made. 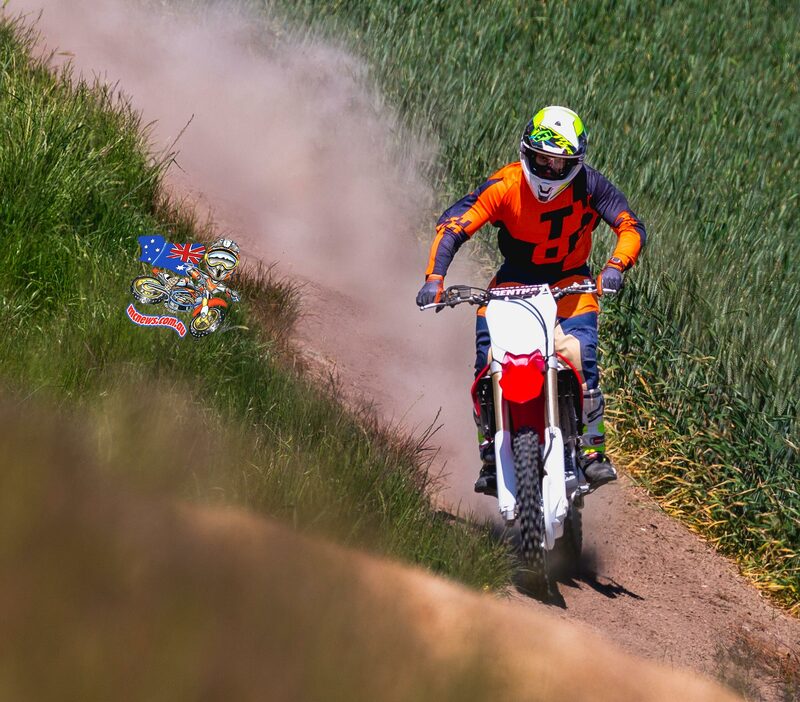 The three way EMS is a unique feature on the Honda CRF450R and is controlled by an LED lit button on the right side of the handlebars. Mode 3 is focused toward soft riding conditions and as a result provides an aggressive power delivery. I utilised each of the three settings on both of the available circuits and found the following. On the rough, dry, sandy circuit, Mode 3 was my preferred option and this was because although there was less traction, it was still a very soft surface, which meant I was able to be more aggressive with the power. Contrastingly, on the tacky, clay circuit I found Mode 2 most desirable as it felt much more effective to run the repressed setting in a high gear and let the bike’s torque carry me through the turns, than having an aggressive map wrench on my arms while exiting turns. In regards to the general population though, I see Mode 1 as being the common choice as it can be used effectively on any surface, and therefore will be most efficient for the every day rider. 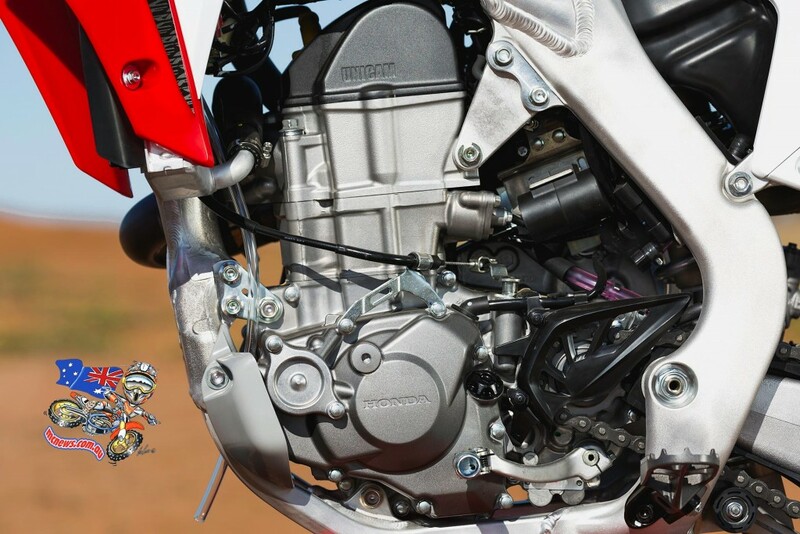 Like the engine, the CRF450R’s transmission remains unchanged for 2016 with every gear except first being manufactured using Nickel Chrome Molybdenum, which is 10 per cent stronger than the standard Steel Chrome Molybdenum. This particular material is employed for increased durability, but comes with no added weight penalty. When riding the bike, the overall physical feel in gear shifting is positive, with a clean transfer through the entire transmission, and zero recorded false neutrals and miss-shifts throughout the entire testing procedure. For 2016, Honda retains their use of the 260mm wave disc for both the front and rear brakes, utilising a twin piston caliper for the front brake and only a single piston caliper for the rear. As seen in previous years the CRF450R also comes standard with the two-piece front disc cover, which serves to protect the front braking assembly. In terms of braking performance, although the Honda does not come with a larger 270mm front rotor, unlike some other manufacturers now do, its stopping power was most definitely up to standard. I have always been a big fan of Honda’s braking systems as they’re extremely responsive and provide a great ‘lever feel’, which are the two major aspects I look for in a set of stoppers. Honda has continued their use of the standard CRF graphic and red/white plastic scheme for 2016. The back brake rotor cover, rear shock cover, chain guides and radiator grills as seen previously remain black, which offset the colour scheme and minimise the negative aesthetic effects of staining. 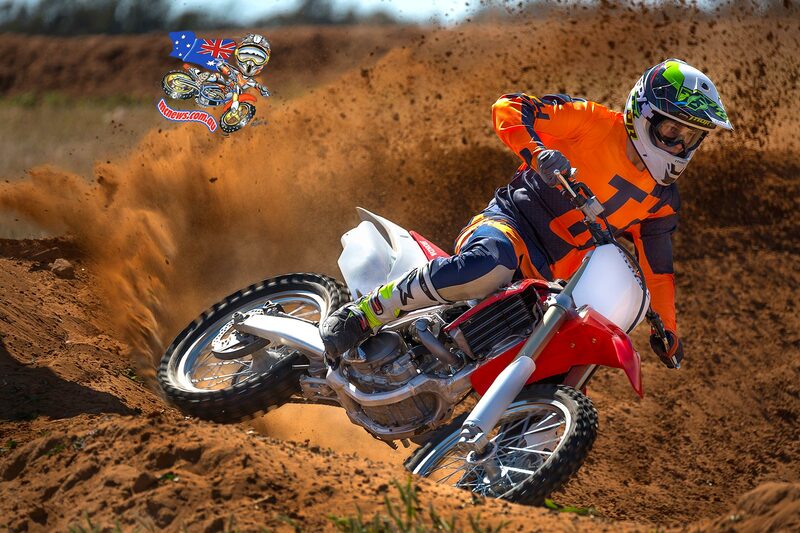 Overall, for 2016 Honda have kept their updates to a minimum for the CRF450R. The small but detailed changes made however improve the both the handling and stability of the machine, which grouped with the nimble chassis, three way EMS and HRC derived engine provides a package that I would throw a leg over any day of the week. 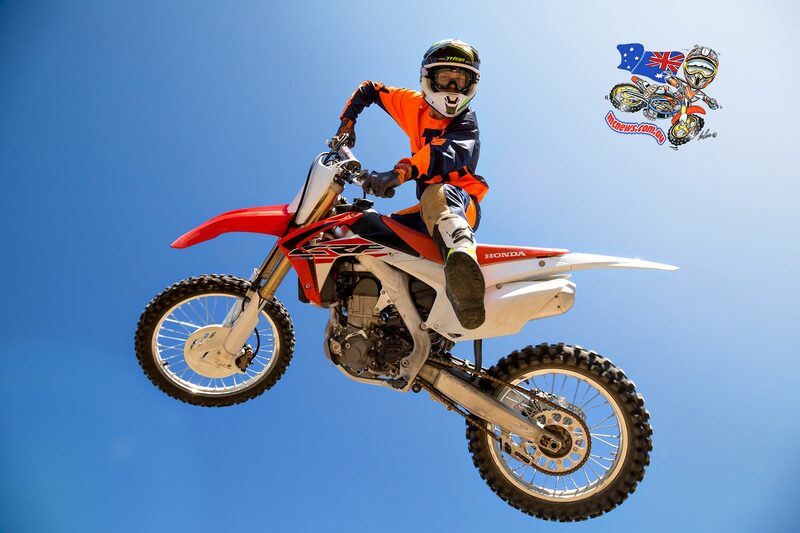 You can also, with the 2016 Honda CRF450R retailing at Honda dealers now for $12,197 ride away.